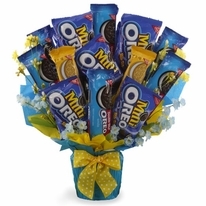 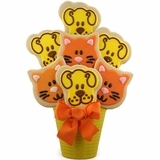 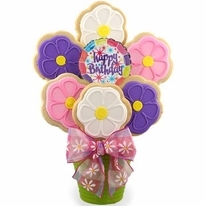 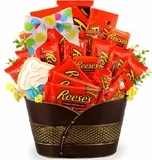 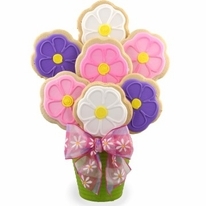 Share the love of kitties with our Kitty Love Cookie Bouquet. Sweet adorable kitten faces are peeking out with this unique cat cookie bouquet. 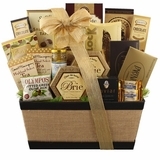 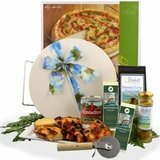 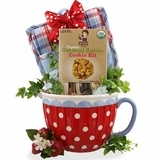 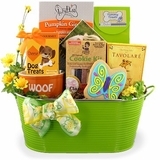 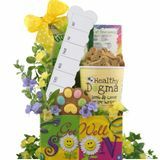 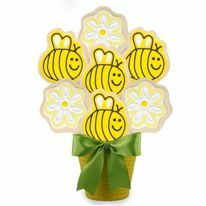 You may send this gift for unlimited gifting occasions such as, birthdays for little girls and grandmas, to a neighbor for checking in on your cat while on vacation or even your vet, rescue group or charity for doing such a fabulous job! 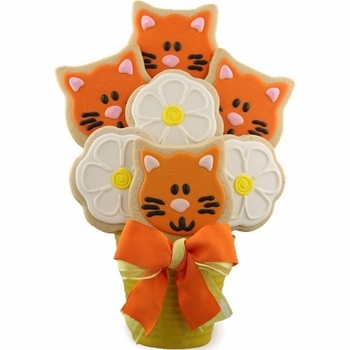 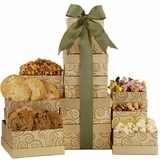 Our cookies are individually wrapped to keep them as fresh as possible and makes this a purr-fect gift to share.